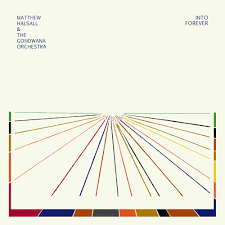 The fifth album from Manchester-based trumpeter, composer and arranger Matthew Halsall invites us into a world of meditative grooves, reflective pulsing rhythms and delightful vocals. This set has a soundscape that is truly its own – rich bass figures, harp swoops, beautiful Japanese koto work, neat drum patterns – which really gives a proper meaning to the idea of an ‘album’ as a coherent set of work. Just as you think we’re settling into a one-chord groove on (for example) Badder Weather, a modal change arrives to lift the music along. Add in a string quartet and the result is delightful and innovative. A special nod goes to harpist Rachel Gladwin and koto player Keiko Kitamura, both of whom make excellent contributions. Gladwin has been compared by some to Alice Coltrane (harps in jazz being a very small world), but I think she’s much more interesting in her range of performance. This is the first time that Halsall has worked with vocalists, and in Jospehine Oniyama and Bryony Jarman-Pinto he has found two splendid collaborators. Oniyama brings a powerful soul quality to the opening Only A Woman, to which she has also contributed lyrics. This catchy and profound song about mother and daughter reversing their caring relationship for each other could surely touch a much wider audience. (In the old days I might have been suggesting releasing it as a single, but I don’t think that’s how things work now…). On the title track Into Forever Oniyama also shines, her vocal leading into the appearance of Halsall’s lyrical trumpet. This is the ninth of eleven tracks, and so the ultimate arrival of brass is quite a moment. Halsall then spreads out on Daan Park, the longest track (though none of these performances is really stretched – the whole set is some 40 minutes duration). The double bass of Gavin Barras remains a firm foundation throughout. The closing Jamais Vu brings Halsall’s second vocalist, Bryony Jarman-Pinto, to the microphone. This is another clever song, lyrics from Jarman-Pinto, focusing on the experience of something which feels familiar and also very unfamiliar. At well under four minutes, these songs and other pieces feel that they have much more to give – perhaps extended live performances are on the agenda in Halsall’s current tour? Into Forever is a marvellous trip into a different sonic world, one which is well worth exploring. I hope that the future may bring more extended journeys with Halsall and his talented collaborators.